It worked and then all we had to do was decide what to eat. Per usual, my eyes went right to the gnocchi, but this wasn’t your everyday ordinary gnocchi, this was Gnocchi di Semolina. This meant the gnocchi was made from semolina flour instead of potato. It was also baked instead of whatever is normally done to gnocchi and done up in Roman style (as opposed to Sardinian?). It was also prepared in a perfectly unvegan way, with a braised beef shortrib ragu and pecorino toscano. I couldn’t conceive of any way this could go wrong and I was right about that. The dish was nothing short of amazing. I had never seen or eaten such gnocchi, but I have now learned that the world’s greatest pasta can be even greater than I ever imagined. It was nice and crisp on the outside and had a mashed potato-esque consistency on the inside. 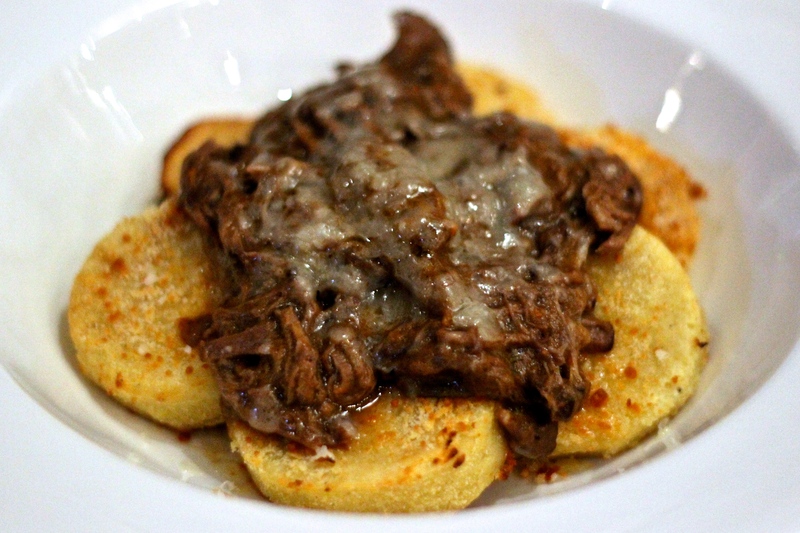 Plus, the braised beef was painfully tender and flavorful, and mixed perfectly with the cheese and gnocchi. Sadly, I think the Gnocchi di Semolina is only available on their winter menu, but if the other seasons are anything like winter Piccolo Forno will still be a winner. Oh, and in case you’re wondering, I ran into two fellow students on dates (and they both smartly ordered the gnocchi).